KNOWN for his cheeky smile and resilient nature, Robert "Bob" Sommerfield will be remembered as a classic gentleman. The 93-year-old sadly passed away on Saturday surrounded by his loving family in Charleville. Bob's family look back and remember the "wonderful man" who was a loving husband to his wife Olga, a supportive father of his children Alison and John and the best Pa to his three grandchildren and his three great grandchildren. Born on June 26, 1925, Bob lived a fulfilling life on the land. One of three children, Bob grew up with his two sisters and parents on Varna station on the Adavlae Rd before heading off to boarding school at Brisbane Grammar. After finishing school Bob worked in numerous fields from the Murweh Shire Council to the Brisbane Titles Office. Near the end of the Second World War, Bob joined the air force and was a mechanic in Bougainville, Papua New Guinea. 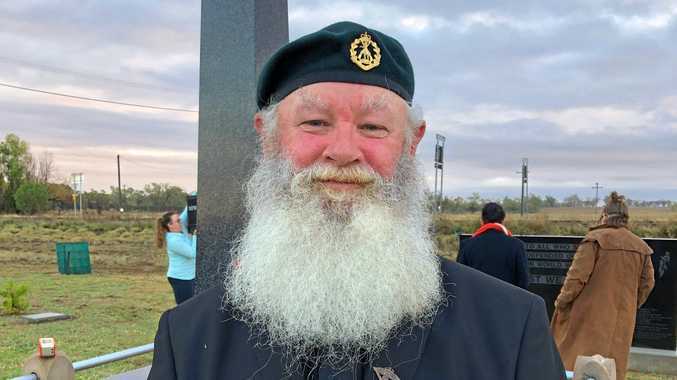 "When he came back from the War he already knew my mother Olga and they got married in 1950 in Toowoomba and were married for 68 years in February this year," Bob's daughter Alison said. After the pair was married they returned and settled at Varna Station where Alison said they experienced their fair share of drought and were primarily involved in the sheep industry. 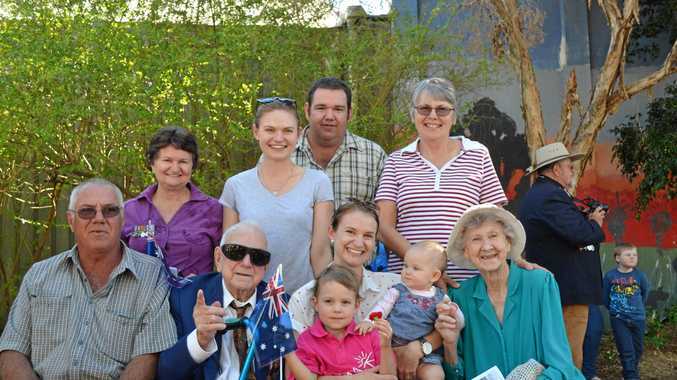 "As time went on they purchased Canegrass Station and then Norah Park station, which is where I grew up from about five-years-old and where mum and dad retired before moving into town," Alison said. Alison recalls growing up at Norah Park as a fabulous childhood, where her dad's passion for the land and sheep really thrived. Not only was Bob a lover of the land, but he also cherished his time at Healthy Ageing. "I thought dad would find moving into town difficult, but he really embraced going into Healthy Ageing and was there nearly everyday," she said. "He loved playing cards, scrabble and having a cup of tea and talking to everyone. "In his final years and even on his 93rd birthday he celebrated it at Healthy Ageing with a morning tea." Healthy Ageing co-ordinator and Murweh Shire Mayor Annie Liston said Bob was a vital member of the group. "He was certainly a legend and came here to Healthy Ageing for the 18 years we have been open," Cr Liston said. "He was a great man and it is a very sad time down here and he will be missed." A service will be held at the Charleville Anglican Church Thursday, October 18 at 9.30am to celebrate Bob's wonderful life.